Aqua Products: Is It Helping Patent Owners Swim Better? About nine months ago, the en banc Federal Circuit decided in Aqua Products v. Matal that the America Invents Act and related regulatory landscape place the burden in an inter partes review on the non-movant petitioner to disprove patentability of a patent owner’s proposed motion to amend. At the time, many thought this change in law would significantly assist patentees in avoiding full-blown cancellation of their claims. However, our review suggests a case-by-case analysis without overwhelming success on a motion to amend. In 2012, Congress enacted the America Invents Act (AIA), which included, among many reforms, the creation of the now-familiar inter partes review (IPR) process. An IPR petitioner may challenge a patent’s claims as wrongly issued based on the availability of certain prior art. If the Patent Trial and Appeal Board (PTAB) decides to institute on a petition, it allows for additional briefing, presentation of limited evidence, and a hearing. Ultimately, the Board issues a final written decision that determines whether the challenged claims are patentable or cancelled. As part of that process, the AIA provides patent owners the right to “file 1 motion to amend the patent” to propose a “reasonable number of substitute claims.” 35 U.S.C. § 316(d). The statute also provides that “the petitioner shall have the burden of proving a proposition of unpatentability by a preponderance of the evidence.” § 316(e). The en banc question was how those two subsections interact, and more specifically, whether the patent owner or petitioner bears the underlying substantive burden on a motion to amend. The only legal conclusions that support and define the judgment of the court are: (1) the PTO has not adopted a rule placing the burden of persuasion with respect to the patentability of amended claims on the patent owner that is entitled to deference; and (2) in the absence of anything that might be entitled deference, the PTO may not place that burden on the patentee. All the rest of our cogitations, whatever label we have placed on them, are just that—cogitations. Patent owners were understandably excited about the prospects of a more meaningful amendment process—after all, as Aqua Products itself confirmed, the Board had granted only a handful of amendments since the AIA was enacted. The Board has not significantly written about the Aqua Products burden shift, with one notable exception. In Taiwan Semiconductor Manufacturing Company Limited v. Godo Kaisha IP Bridge 1, the Board granted in part the patent owner’s motion to amend, noting that under Aqua Products, the patent owner did not have the burden to prove its substitute claims are patentable. IPR 2016-01249 (Dec. 20, 2017). Administrative Patent Judge Fitzpatrick concurred, setting forth his understanding of the burden of proof and production in light of Aqua Products. Judge Fitzpatrick noted that Aqua Products was clear that the patent owner did not bear the burden of proving that its proposed substitute claims were not novel and non-obvious. Rather, Judge Fitzpatrick interpreted Aqua Products as placing only the following, regulation-mandated burdens on the patent owner: to show that proposed the substitute claims (1) are of reasonable number; (2) are no broader than the challenged claims that they replace; (3) do not introduce new matter; and (4) respond to the grounds of unpatentability set forth in the IPR petition. Although the industry expected Aqua Products to cause a sea change for motions to amend, there has been little, if any, substantive effect. Since Aqua Products, the Board has considered the opinion’s impact in 92 cases, referring to the memorandum guidance in 38. Of those 92 cases, the Board has rendered decisions in 43 cases, denying 32 motions to amend, granting in whole or in part 7 motions, and denying as moot 4 motions. So far, these cases have not found the evidence on a motion to amend in “equipoise.” In other words, although Aqua Products was discussed in each of these decisions, it did not impact the outcome. In fact, multiple decisions by the Board noted that “generally speaking, practice and procedure before the Board has not changed.” Array Biopharma Inc. v. Takeda Pharm. Co., IPR 2015-00754 (Mar. 28, 2018); Pfizer, Inc. v. Genentech, Inc., IPR 2017-02019, -02020 (Feb. 12, 2018). However, the odds of success on a motion to amend may have slightly increased. The Board’s Motion to Amend Study found that as of September 30, 2017 (right before Aqua Products issued), the Board granted motions to amend, at least in part, in roughly 8 percent of cases. The post-Aqua Products landscape may be slightly more favorable to patent owners: Of the 43 cases involving decisions on motions to amend issued since, the Board has granted motions in whole or in part in 7—i.e., 16 percent of the time, albeit in a much smaller sample. More data points will be needed to determine if Aqua Products has significantly influenced the Board’s rate of granting motions to amend. On its own terms, Aqua Products should affect only those cases where the evidence on a motion to amend is in equipoise—a scenario that has not yet been encountered. Nonetheless, whether a reaction to perceived unfairness in the amendment process or to Aqua Products, patent owners seem to be taking advantage of the Board’s amendment practice. It will be interesting to see whether a pattern of granting motions to amend emerges in the post-Aqua Products landscape. Arun Mohan is an Associate with Schiff Hardin focusing his practice on Hatch-Waxman and biosimilar patent litigation. He also brings experience as a former clinical research associate for a global contract research organization prior to pursuing his law career. For more information or to contact Arun, please visit his Firm Profile Page. 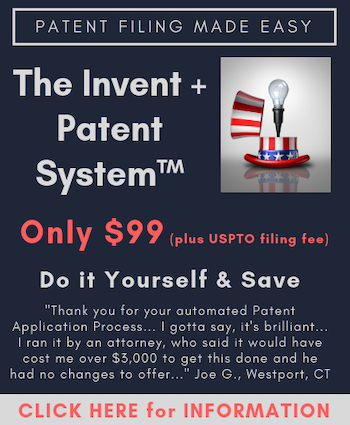 Amending an issued patent makes no sense. IPRs are infringement disputes. Amendments are for examination.